Seeds of Change - Heiner Benking's Blog - quergeist.info: DYNAMIC EARTH - today 100 years Alfred Wegener - and beyond! DYNAMIC EARTH - today 100 years Alfred Wegener - and beyond! "Exactly 100 years ago the most outstanding German Geoscientist Alfred Wegener published the first edition of his seminal book “Die Enstehung der Kontinente und Ozeane” (“The Origin of Continents and Oceans”). Today we all know that his seminal hypothesis was only accepted once the pieces of the “plate tectonics” puzzle were put together in the 1960’s. Wegener was 50 years ahead of his time. We should never forget that Wegener was a metereologist and astronomist. He pursued his research on the thermodynamcis of the atmosphere and impact craters with as much energy as his development of “continental drift”. In our meeting Dynamic Earth – from Alfred Wegener to today and beyond we will review how Wegener‘s findings evolved into to modern Earth system science including its impact on climate and the Earth surface, and how this system affects our daily life: where humans live, what risks we are exposed to, where we find our resources. .... "
So lets check out the REVOLUION OF GEOSCIENCES !! I strongly recommend the book of Franz Wuketis: [link] "Outsiders in Science: Pioneers, Trailblazers, Reformers" unfortunately on in in German: Gegen den Strom schwimmen - ein Buch über eigensinnige, mutige, selbstbewusste, hartnäckige Forscher, die als Amateure oder ... [link] who covers such uncompromising, leading, visionary thinkers which were not years, but decades ahead of their times. 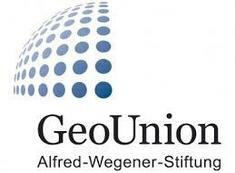 but unfortunately the foundation did not survive and tansferred into something quite different, the GeoUnion - Alfred Wegener Stiftung, unfortunately even the GeoTechnica as "the marketplace" of the Earth did not survive.... and I "lost" years of work and investing into such a great venture. Check the websites, no comments as you see how little of the wide courageous intentions and visions of its founding president survived. Geo Künstler und Geo Juristen ! A great opening lecture by Celâl Şengör https://en.wikipedia.org/wiki/Talk:Cel%C3%A2l_%C5%9Eeng%C3%B6r a plea for another science, with intuition and creativity.... MANY THANKS - check it out !